The original Range Rover Evoque was 2011's must-have item. 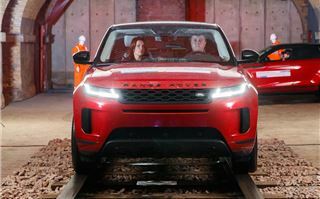 It took Land Rover into a new crossover segment and with it attracted hundreds of thousands of new customers. Now it's time for, in the words of Land Rover's UK's managing director Rawdon Glover, "the difficult second album". On the face of it, the all-new 2019 Range Rover Evoque doesn't look all that much different to its predecessor. Everyone has a clear idea of what an Evoque looks like and this is pretty much it. The changes, however, are in the details. Features like the flush door handles from the Velar - not to mention the obvious front-end design similarities to the Velar - give it a much more modern look. You could be mistaken for thinking this, on the face of it, is little more than a facelift - but look closely, and it’s much more than that. That’s particularly true when you get inside. There’s noticeably more space than its predecessor. This isn’t just down to the marginally longer wheelbase (a whole 21mm), but because designers have concentrated on slimming down features like the door cards. There's more room for rear passengers, too, and the boot is usefully bigger than before. It also feels premium. 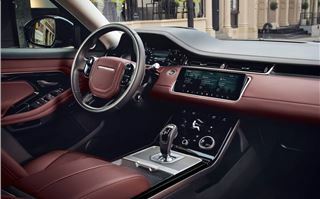 Its designers say they wanted to get the feel of a Range Rover inside a compact SUV and, to an extent, it’s achieved that. Materials are used well and, unusually, you can choose fabrics other than leather for the seats. These renewable fabrics (including wool blend and suedecloth) actually work surprisingly well - not only are they more sustainable than leather, they also look the part and, Land Rover says, have been put through the same rigorous tests as all of the firm’s Range Rover seats. 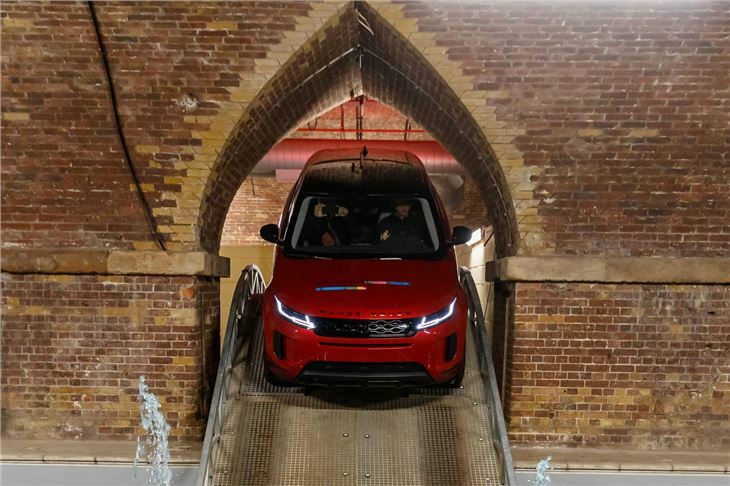 Our brief prototype drive was entirely off road - in the dark tunnels underneath an East London railway station in typical Land Rover PR stunt fashion. 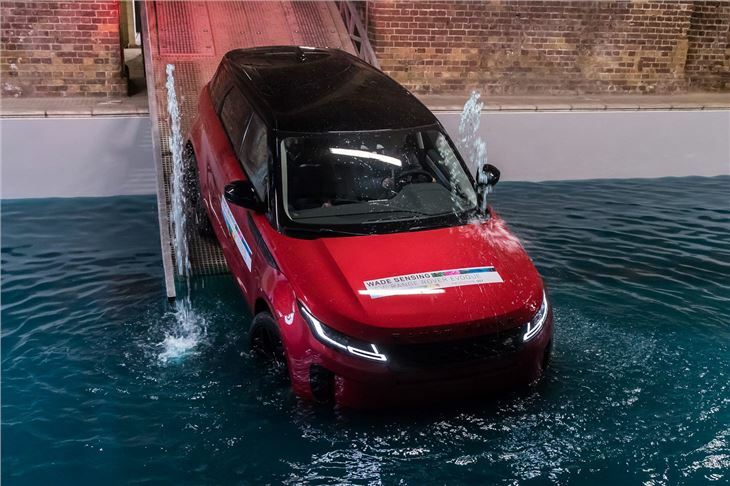 It’s impossible to draw any real conclusions about how the Evoque will drive from this, but it’s certainly true that we can’t accuse the Evoque of losing any of that off-road credibility that people expect from Land Rover. 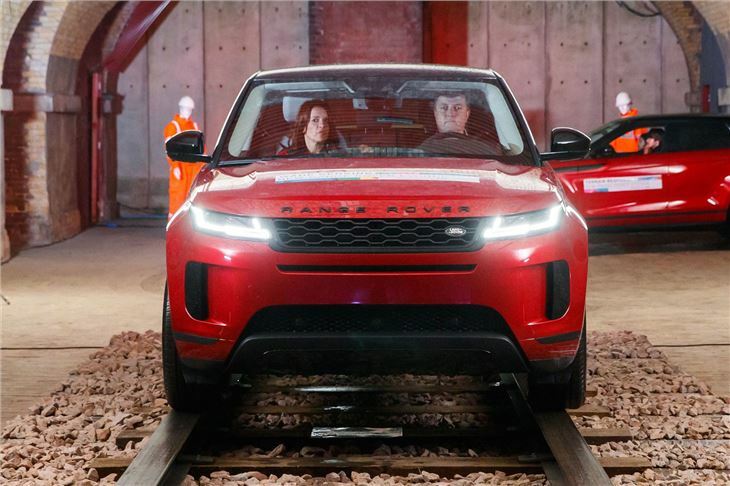 The Evoque’s platform has been designed with electrification in mind. 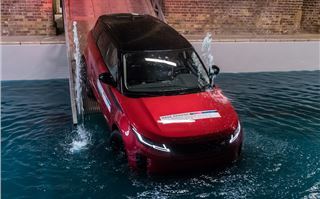 From launch, there’ll be a four cylinder mild hybrid offering - a first for Land Rover - and around 90 per cent of buyers are expected to opt for a hybrid derivative. This includes a plug-in hybrid version, due late in 2019, which pairs a new three-cylinder Ingenium 1.5-litre petrol engine with an electric motor. Our test car was the 2.0-litre Ingenium diesel with mild hybrid technology. This 48-volt setup improves fuel economy by harvesting energy normally lost during acceleration. Our drive barely exceeded 10mph so it's difficult to come to any conclusions on it, but we can say that we barely noticed the engine stopping and starting - something it can do at speed of up to 11mph. Other clever new technology on the Evoque includes a digital rear-view mirror. This sounds gimmicky, but it is useful when driving in difficult conditions such as the dark or rain. Land Rover claims the 1.7 megapixel camera offers double the visibility compared to a standard rear-view mirror and, from our brief drive, it is genuinely useful in low-light conditions when judging vehicles travelling behind you can be difficult. The Clearsight technology continues with its Ground View system, which uses cameras around the front of the car and underneath the door mirrors to effectively allow you to see through the bonnet. 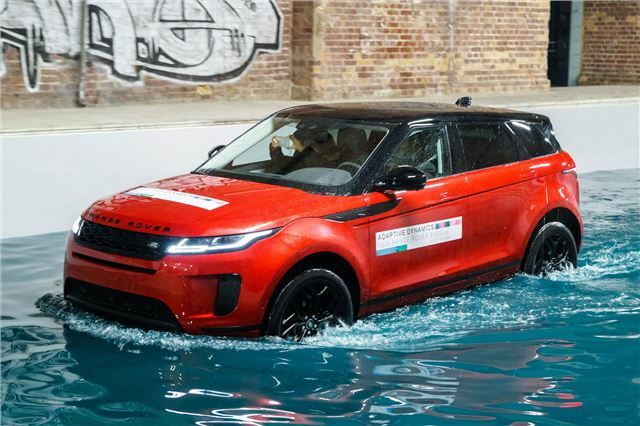 Not only is this handy off road, it can also help in the urban environment where most Evoques will spend their times - navigating tight multi-storey car parks, for example. 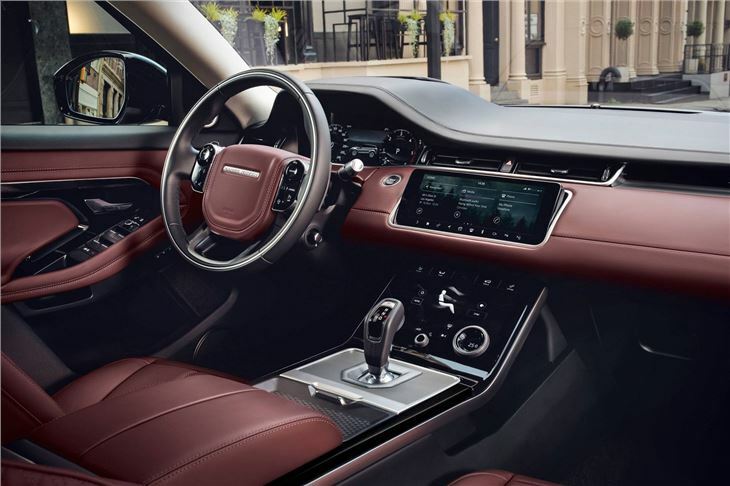 We’ve not had time to fully try the Touch Pro infotainment and, although it looks the part, our experience of using it in other Land Rover models suggests this could be a weak point. Fortunately it is available with Apple CarPlay and Android Auto in the Evoque, so it’s easy enough to bypass by plugging in your phone. Some will instantly dismiss the new Evoque based on the fact it looks largely like its predecessor. Some of its gadgets can be accused of being gimmicky, too. But, while we’ve only had a brief drive in it, our first impressions are positive. It looks the part, the interior is pleasingly premium and the hybrid powertrains on offer ought to bring it up-to-date. 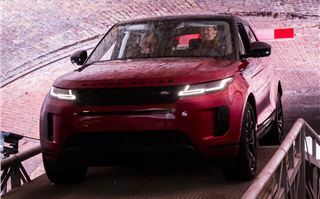 The new Range Rover Evoque is available to order now with UK deliveries expected from spring 2019.